Ford is currently busy testing the new Transit commercial van in the Austrian Alps. 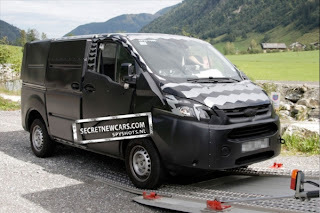 The new 8th-generation Transit will replace the current 7th-genetation model in Europe when it goes on sale in Spring 2013. 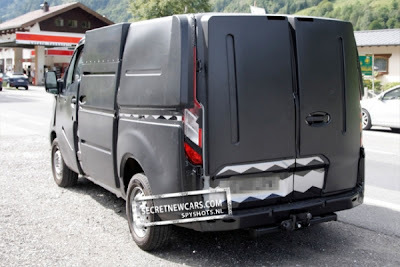 In the U.S however, the E-Series will be sold alongside the Transit as separate product, as Ford feels there's enough difference for the two models. Ford's Kinetic design language is clear on this prototype. Looking dynamic and striking, a pronounced fascia, upswept window line, and bulging wheelarches will feature, although the latter could be camouflage. Engines for the newcomer are expected to be carried over from the current model, albeit with tweaks to produce more power and better fuel economy. 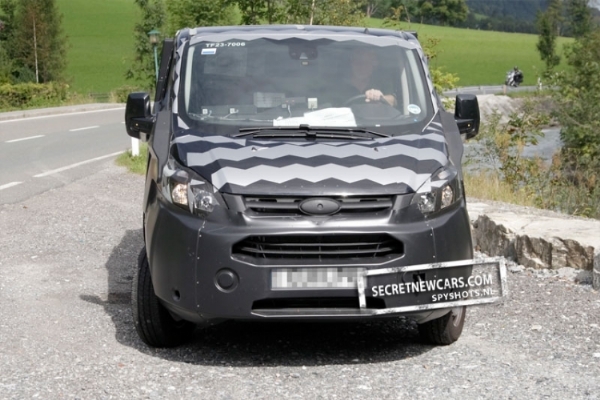 Later on, we could even see the 2.0 litre EcoBoost petrol unit within the Transit, allowing for a warm-performance model. The current rear-drive Transit comes in many, many different variations but the U.S market will only see the long-wheel-base, high-roof model according to reports.